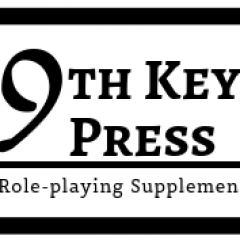 9th Key Press creates articles, maps, and other supplements for use with fantasy role-playing games, most notably the newest edition of D&D. We also plan to offer commissioned maps, writing, and editing/copy-editing services in the future. Patrick McGill (lead content creator/hippy coloring on walls): In charge of content, maps, and illustrations. Coming Soon: commissions for writing and dungeon maps. Nancy McGill (editor/motivational lasher): In charge of copy-editing, managing projects and workflow, and some content. Coming soon: editing and copy-editing commissions.